Italian products like olive oil, Parmesan cheese, and pasta have deep histories. The core course on the history and culture of Italian food helps students understand these products’ past and their present-day cultural contexts. Our mental images of Italian vineyards often have a romanticized glow like this photograph above. Looking at wine from historical, anthropological, and business perspectives helps separate myth from reality and leads to a deeper appreciation of wine’s place in Italian culture—and across the world. …don’t just eat it. The Food & Sustainability Studies Program seeks to give you the context to understand how foods fit into the Italian diet, but also how they are symbols of Italy’s past and powerful parts of its economic present. The future is in food. Our alumni don’t make better pesto, they make better marketing plans, develop sustainable development strategies, write better food reviews, produce food documentaries, even start their own businesses or continue their studies in graduate school. See Alumni Opportunities below for more information, or contact us. The Center for Food & Sustainability Studies invites students and professors to participate in the study of food systems and sustainability. Whether completing the Certificate in Food & Sustainability Studies, enrolling in semester or summer FSST courses, working on independent research, participating in the biannual Food Conference, or leading a group of students to discover the complexities of Italian food culture, the Center engages with scholars, professors, and students at any level of their career seeking to develop a deeper understanding of global food systems and sustainability efforts. The FSSP is a semester-long, interdisciplinary certificate program open to all students with an interest in food and sustainability. It is particularly well-suited to those hoping to cultivate a career in the food or environmental industries or seeking to continue their education at the graduate level. Each thematic course includes a series of co- and extra-curricular activities that are an integral part of the curriculum; they include guest lectures, site visits, field trips, culinary activities, research projects, and other hands-on experiences. These activities allow students to directly observe the concepts studied in the classroom and analyze issues surrounding food and sustainability in an Italian and global context from varied perspectives. Students enrolled in the semester FSSP must enroll in the two core courses, and choose at least one additional FSST elective. In addition, the program includes a mandatory Italian language course (4-6 credits) and an optional free elective chosen from among the Umbra course offerings for a total of 14-18 credits. Particularly motivated students with a 3.5 GPA or above can apply to the Umbra Institute Scholars Program. All students who successfully complete the Semester Food & Sustainability Studies Program will receive a certificate of completion from the Umbra Institute. Applicable only to the semester FSSP certificate program. To see what is included in courses taken independently (semester or summer) please reference the individual course descriptions. – Welcome and farewell dinners. – Research project involving visits to local restaurants and botteghe (ANTH/FSST/SOC 375). Fees do not include: Transatlantic airfare, personal expenses, meals, or travel fees for elective courses beyond the program requirements. In the last twenty years, historians have turned with ever more interest to food as a key for understanding the past. Italy is particularly interesting in this respect. Modern Italian identity is based, in large part, on food. Many Italian ‘staples’, including ice cream, olive oil, pasta, pizza, risotto, and wine, have interesting stories that give insights into Italian culture and history. Our historical review will look at Italian food in prehistory, antiquity, the Middle Ages, the Renaissance, and more recent times. This four-credit class will feature not only more conventional power-point based lectures, but also an extensive schedule of field trips and food tastings. You will gain a deeper understanding into Italy’s modern food culture with a series of seven food tastings, each a kind of culinary practicum that combines history and biochemistry with sampling a wide variety of foods or beverages. The food products that are the subject of the tastings are coffee, wine, olive oil, bread, gelato, and cheese. – At his agriturismo home in Città di Castello, Matteo Bartolini will lead you on a truffle hunt day trip. – You will travel to Parma and Modena for a three-day field trip where they will tour an authentic Parmesan cheese cooperative, learn how balsamic vinegar is made, and see the process of making prosciutto. – compare alternative food movements in Italy and the States. You will help create the new Umbra sustainability synergistic orto, a type of organic gardening that uses plants that naturally protect and nourish each other. The Umbra orto is located in Perugia at a residency for individuals with mental health challenges where horticulture therapy is used as a technique to enhance their quality of life and generate positive emotions and social interactions. You will help with seasonal tasks, including tilling the soil; planting herbs, vegetables, and flowers; and harvesting. At the end of the semester, you will present your project to the Umbra community. – recognize the efforts behind organizations and museums that promote and develop food-related cultural events. – Excursions to typical Perugian restaurants and food artisans. This course offers an overview of the most important marketing theories and techniques as applied to the Italian wine and olive oil industry, with a special focus on companies promoting sustainable production. Students will explore Italian and American markets, consumer segments, company communication strategies, and opportunities related to food tourism. By examining successful case studies, students will learn how to develop a brand reputation strategy. In addition, students will participate in a practical project designed to give them the opportunity to shape a marketing plan for an Umbrian wine or olive oil company. acquire skills to implement food tourism initiatives. This is not a tasting course. Wine and olive oil are utilized in very small amounts and for academic purposes. Students will take two day trips to visit a winery and an olive oil company, tour the facilities, have tastings, and discuss the companies’ operations with the owners. Students will learn and test basic scientific concepts through the broad lens of food. Scientific concepts will be derived from various scientific fields such as biology, microbiology, and chemistry. Students will examine various processes for preparing and storing food, such as fermentation and preserving, in historical contexts. The course has both a classroom and a lab component. Students will alternate between learning scientific processes in a classroom setting and doing experiments in the didactic kitchen. Improving the sustainability of food production and food systems will be discussed throughout the course. In this course, students will engage with peer-reviewed literature and will analyze and disseminate the results of scientific studies. The overall goal is to learn about the interconnectivity of science, culture and the environment through the exploration of basic food processes. No prior scientific knowledge is necessary for this course. This course will confront water related issues through a combination of discourses including anthropology, food studies, and environmental sciences. It will explore the central role of water in human civilization, both past and present, and consider the future implications of our current water use trajectories. Course modules will address the functioning of ecosystems and the well being of the environment, industries and the economy, agriculture and food production, and recreation and tourism. This course aims to recognize ways in which water influences our lives and to explore the entangled interdependencies and linkages between water and human activities. The course will take a critical look at water sustainability through various lenses including food systems, terrestrial and marine resources and other industries. Subjects will begin at international levels before narrowing to national, regional, and local levels in Italy. Throughout the course, students will be asked to analyze their personal water footprints and explore ways to minimize personal water usage, and consider strategies for broader water conservation efforts. Learning will be guided using diverse methods: lectures with in-depth discussions, a service learning and community outreach project, and a field trip to Lake Trasimeno. Through the outreach and service learning project, students will refine qualitative research methods as well as be asked to consider the ethical implications of research on human subjects. – Develop innovative strategies for promoting sustainable water use in one or more areas of land use, food and energy, including at the consumer level. Students in this course will collaborate with POST Science Center (Perugia Officina della Scienza e della Tecnologia). The POST Director and students will develop and lead an interactive scientific laboratory and discussion in English for Italian high school students in order to explore the water footprint and the long-term sustainability of a watershed. This hybrid literature/creative writing/theory course will examine the role of food in Italian and Italian-American literature. It will analyze women’s issues in relation to the narration of food and the importance of food during war times, especially in extreme situations, such as displacement and bombardments. As the Italian words sapore (taste) and sapere (knowledge) share a common root: *sap-, which means not only “to taste”, but also “to research” and “to be wise”, this course will consider how the preparation, production, and consumption of food intersect with wisdom and (self)knowledge in literature and culture. By examining excerpts from some of the most important works in recent Italian literature as well as select writings from Italian American women authors, you will examine the historical, social, and symbolic value of food while focusing on the development of cultural, national, and individual/feminist identity. In this course, you will find your own voices in the form of fiction and non-fiction creative writing assignments. You will demonstrate an understanding of literary devices, figures of speech, and sound patterns through actual use in writing. Through your own writings, you will demonstrate an understanding of the conventions of the various literary genre, such as plot, narrative voice, setting, characterization, and description. In order to hone your skills both as readers and as writers of narrative, this course will also discuss the principal issues in narratology and narrative theory. – be able to discuss the specific course topic critically and confidently. In this course, you will first collaborate with SapereFood, an online magazine dedicated to sharing the Umbrian agricultural traditions and food producers’ narratives with consumers. You will meet with the producers and participate in tastings of Umbrian products, which will serve as the basis for one of the course’s creative writing assignments. The collection of student stories will then be published on the SapereFood webpage section titled ‘Umbra Diaries’. You will then transform your experience during the visits into a children’s story on food in both English and Italian. To conclude the project, you will share your creative piece at “Apriti, scuola!”, a weekly multi-lingual children’s reading hosted by “Il Castello Rotondo” Elementary School. At the end of the semester, you will present your work to the Umbra community. Students participating in the Food & Sustainability Studies Program are also eligible to add one additional elective from Umbra’s course offerings. Click here to view Spring Courses. Click here to view Fall Courses. Click here to view Summer Courses. Qualified students participating in the FSSP can apply to the Scholars Program. Those students take the two core courses and then complete an independent research project for IR 499. This track requires a short proposal to the FSSP faculty coordinator and the Scholars coordinator before the semester begins. For more information, contact Dr. Elgin Eckert ([email protected]) and Dr. Elisa Ascione ([email protected]). The Independent Research course is a student-centered learning experience in which you engage in advanced research on your selected topic with the support of a faculty mentor. It is ideal for students who have previously studied a particular topic and would like to continue exploring it in more depth through individual research. Independent Research courses may vary depending on student interests and needs. They are assigned an appropriate disciplinary code and the appropriate academic level depending on the nature of the specific research project. – To learn to appreciate the importance of wine and food as central to understanding Italian cooking. This exciting class combines the history and customs of food, olive oil, and wine in Perugia and the surrounding region, with food writing and travel. We start by exploring the history of Italian food and wine, but with a specific focus on Perugia and the wider Umbrian area. Each week is a different concentration/combination of historical moment and type of food, such as the history of pizza, the origin of the aperitivo, the arrival in Italy of coffee, tomatoes, chocolate, and more. In conjunction with this historical approach, the class includes visits to restaurants, vineyards, cheese-makers, and olive groves in and near Perugia. You will keep a food blog, and will have the opportunity to do a book review for a local magazine. The purpose of this class is to introduce you to the intricate and surprising history of regional foods in Italy as you learn the importance of food as a mode of identity-formation in Perugia, Italy, and, by extrapolation, your own families. Our focus on writing and the analysis of others’ written word will teach you how to become not just great food writers, but informed and discerning writers in general. Elisa Ascione’s background is in anthropology, with an interest in identity, social transformation and culture: she is particularly fascinated by people’s culinary knowledge, practices and memories. Through the lens of food it is possible to see how cultural practices are embodied, transformed, and resisted through history and in daily life. Elisa Ascione believes that teaching students from different backgrounds is an exciting experience because every student brings his/her personal knowledge and familiar food history: the class becomes a sort of “anthropological laboratory” where different perspectives become important didactic resources. Her objective as a teacher is to encourage critical thinking by looking at the connections between broader cultural patterns, historical transformations, social theories and personal experiences. She is also passionate about “good food” and likes to discover and share new foods and flavours with students in Perugia. Nowak received his PhD at Harvard University and is the chair of the Advisory Board for the Center for Food & Sustainability Studies. I’m a historian of the built and natural environment. I’m interested in the importance of place (or lack thereof) in history. I’ve done research on truffles, the “natural archive,” breweries in nineteenth-century Boston, and train stations. I think a lot about didactics when preparing my lessons, as I’ve seen how little of a straight lecture is remembered. I’m committed to constantly improving my pedagogy, and to using community engagement to strengthen my teaching. I think food and the environment are fantastic lenses to get students to ponder food in history, the built environment, and how they imagine nature. Olivier de Maret is a social and cultural historian of contemporary Europe specialized in food studies. His main areas of research cover Italian foodways and alternative food systems. More generally, he is interested in the relations between food and identity, migration, and consumption. He recently published his doctorate entitled Of Migrants and Meanings. Italians and Their Food Businesses in Brussels, 1876-1914 (Brussels: P.I.E. Peter Lang, 2016). Besides publications on Italian food and migration, he has researched the relation between the concepts of taste and home. Olivier de Maret approaches teaching from a historical perspective that draws on various theories, primary-source analyses, in-class discussions, and hands-on practical experiences. His overall aim is to bring students to realize how the past puts the present in perspective and to provide them with the tools to address historical and contemporary debates with a critical mindset. As a scientist and an educator it is my responsibility to support students in pursuit of three learning objectives: (1) develop self-awareness of the environmental impacts of individual and collective actions; (2) cultivate an interest in finding applicable solutions to real world problems; (3) advance critical thinking and problem solving capabilities. Environmental science education should also produce students who are able to effectively communicate issues and strategies, be able to apply their knowledge, and use those applications to make positive changes. I focus on incorporating and applying real life experiences into my teaching. While classroom spaces are convenient and the norm, the lesson should not be bound by walls. Common experiences including current issues and local events can, and should, provide introductions to lessons, if not form the basis for the lesson itself. I want students to understand environmental issues and management strategies through hands-on participation in order to become engaged and model citizens for the betterment of our planet. An interactive classroom is my goal. My style of interpretive teaching uses common concepts or known objects to explain the lesser known. Effective interpretation accommodates a diverse group of learners in multiple ways. I want my students to find motivation in the course content and fulfillment through participation and engagement. I prioritize learning that requires critical thinking and strategy in real world applications. I firmly believe that both the student and teacher share the right to question one another. Effective teachers create opportunities for the students to succeed. Filippo Benedetti Valentini’s background is in Food and Wine journalism, with a specific interest in corporate communication. He is the Editor in Chief of the online magazine Saperefood.it, which aims to spread the Italian and Umbrian food and wine culture. Filippo has worked with various local companies offering marketing and communication services. He is also a professional olive oil taster and currently, he is studying to become a wine sommelier. Filippo believes in knowledge, but even more in sharing it. Quoting the Irish playwright, critic, polemicist, and political activist George Bernard Shaw, “If you have an apple and I have an apple and we exchange these apples, then you and I will still each have one apple. But if you have an idea and I have an idea and we exchange these ideas, then each one of us will have two ideas.” Filippo believes that sharing ideas is essential in marketing to imagine solutions and turn crisis into opportunity. Marketing is not just a managerial process to meet consumers’ needs, but it is an instrument to enhance our skills and improve our lives. Elgin K. Eckert’s background is in Italian literature and cultural studies. She is most interested in how cultural identity and cultural memory come across in (contemporary) narrative fiction. Most of her recent publications focus on the way identity and memory are represented in Italian crime fiction. Elgin K. Eckert believes very strongly in an interdisciplinary approach. Many of the courses she teaches are hybrid courses: one course for example looks at narrative from both a visual (film) as well as a verbal (literature) point of view, comparing and contrasting these two forms of expression. Another course analyzes the mafia in Italy and the United States from both a historical and cinematic angle – the aim in that course is to identify stereotypes, myths, and legends created by fictional portrayals of Cosa nostra through a careful study of the historical phenomenon and its impact on society. In her courses she tends to review basic concepts (such as cinematic techniques or narrative voice) in order to give a basic background to all students, even those who might never have taken a film studies or literature course before. She then goes on to challenge her students to apply the basic concepts and start to analyze the primary sources (literary, cinematic or historical) in order to have them arrive at realizing how the issues examined in class have a broader implication on their own lives and beyond. Since 2012, the Umbra Institute has hosted a biennial food conference in Perugia. Past keynotes have included Ken Albala, Massimo Montanari, Rachel Black, Kolleen Guy, Amy Trubek, Simone Cinotto, Molly Anderson, and Alice Julier. Some of the contributions to the first conference have been published as Representing Italy Through Food (Bloomsbury, 2017), edited by Peter Naccarato, Zachary Nowak, and Elgin K. Eckert. The fourth edition of the conference will be held June 7th-10th, 2018, with Lisa Heldke (Gustavus Adolphus College), Michael Herzfeld (Harvard University), and John Lang (Occidental College) as the keynote speakers. To find the call for papers, click the link below. This unique program takes qualified students’ academic experience one step further. Not only do they participate fully in the Food & Sustainability Studies Program, which includes a rich complement of co-curricular activities, workshops and field trips, but students will also pursue an original independent research project. As always, the Scholars Program Coordinator will provide assistance and guidance in defining the research project, assigning a faculty mentor, and selecting the complimentary courses that best fit the students needs as you make the most of their study abroad experience. Choose from among the FSSP courses offered each semester. A minimum of one month prior to the beginning of the semester, you must submit a detailed research proposal to the Umbra Academic Director. Once approved, an appropriate faculty member will then be identified as the advisor. During the first two weeks of the semester, a more detailed proposal, bibliography, and project design will be submitted to the faculty advisor for approval, and a project timeline will be established. Throughout the semester, you will work independently and meet weekly with your advisor to discuss your progress. General Studies Program Scholars will be required to enroll in the 4-6 credit Italian language courses at the appropriate level (Beginner to Advanced) and are encouraged to take i-Courses (courses with an extra component in intermediate/advanced Italian) where available. While teaching is central to the Center’s mission, research serves both didactic and professional goals. Recent faculty research has included a monograph on the food businesses of Italian emigrants in Belgium, an edited collection on representations of Italian food, a critical analysis of the meaning of heritage in food, and a handbook for Italian winemakers looking to export to the United States. Current projects include a monograph on Italian sagre, an article exploring the absence of the enologist’s laboratory in the discourse about food landscapes, and anthropological research on fisherfolk’s perceptions of fish in Lago Trasimeno. This research not only keeps the CFSS faculty actively involved with academic discussions on food, but also provides readings for courses and opportunities for students to engage in faculty projects. The Center also promotes student research through faculty-led independent study projects or the more intensive semester-long Scholars Program. A recent student project on the Italian aversion to taking food home from restaurants led to a three year-long community engagement project with the City of Perugia known as RepEAT, designed to promote doggie bags in the city’s restaurants. Students have also presented their research several times at both the biennial CFSS food conference and the Association for the Study of Food & Society. The Center is currently creating a long-term institutional research project in collaboration with the City of Perugia and the Region of Umbria. This five-year project will also develop an online wiki of Umbrian foods and foodways. Umbra students will contribute text, photographs, interviews, and video to the first bilingual archive of its type. The Center’s didactic kitchen, located in the Institute, is the ideal venue to explore food chemistry as well as to provide students with hands-on, non-credit-bearing activities that compliment their classroom studies. Click here to learn more about what can be discovered through Umbra’s co- and extra-curricular cooking and tasting activities. Over 100 students have completed the FSSP since it was first offered in 2011. Feel free to contact some of these students about their experiences while living in Perugia and studying food and sustainability at the Umbra Institute. The Umbra Institute is a recognized and approved study abroad program for hundreds of colleges and universities. If you’re ready to begin your journey through food studies, start this easy online application. Thinking about a food-related career or graduate study after you finish college? The Center has developed a number of strategic partnerships with universities and food-related organizations in the US and Italy. Click the button below to learn more. University of the Pacific”s San Francisco campus, dcofounded by Professors Alison Alkon and Ken Albala. Also for the Drexel’s online Masters in Hospitality. The Falk School of Sustainability – Pittsburgh, PA.
FSSP graduates will also be given special consideration for internships at Eataly, the fine Italian foods retailer. Eataly has stores in both New York City and Chicago, and is looking for both interns and new employees as it will soon be opening a second Manhattan store. FSSP graduates will have direct contact with Eataly’s chief recruiter. 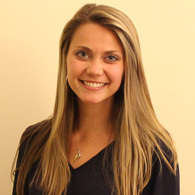 My name is Jordan Linder, and I am a student at Penn State University majoring in Nutrition Science, Dietetics option and minoring in Human Development and Family Studies. Through the Food and Sustainability Studies program at The Umbra Institute, I have gained a large skill-set relevant to my future, not only as a dietitian but also as a responsible member of our global community. Studying in the city of Perugia was exactly the true cultural immersion I had wanted in my study abroad experience! I was part of the Food and Sustainability Studies Program at Umbra during the Fall 2016 semester. I am studying Film and Food Justice at Bard College at Simon’s Rock in Massachusetts and am originally from Bakersfield, California. I am vegan and queer and love interesting discussions, reading, and cooking. At Umbra, I was able to take sustainability and food courses not offered at my home institution and learned a lot about Italian culture. As I’m not a fan of traveling, I spent most of my weekends exploring Perugia and all it had to offer and found a temporary home here in this beautiful city. When I began researching study abroad opportunities, I limited myself to looking within the Economics and Mathematics majors. This path led me to large, impersonal programs in English-speaking countries. None of these programs struck me as a unique experience and I’m so thrilled I allowed myself to think outside the box. The Umbra Food Studies Program has been perfect for me, and Perugia has provided a truly authentic experience. Unfortunately, for the same reasons Perugia is so authentic, it is also unknown in the US. I want to make sure UVM students have exposure to this great city. Being a part of Umbra’s Food and Sustainability Program this fall of 2017 has been a unique experience that I never would have had at my home institution. In this program, we traveled to a different region of Italy almost every weekend, during which, I was able to apply what I learned and read about in class to the real world. I am so grateful that I had the opportunity to study one of the most infamous food cultures in the world with Umbra! The FSSP is a really unique learning experience; it definitely helped me make the best of my time at Umbra! There are so many hands-on field trips activities that give you insight into Italian food production and culture that you wouldn’t be able to get anywhere else. And you eat so much delicious food, all the time!